Are laserdiscs worth getting or am I better off with DVDs? Discussion in 'Visual Arts' started by AxC., Feb 15, 2014. The LD is THE only vintage video format that holds up in many ways, IMO. CrazyCatz and melstapler like this. There's still content that is unavailable on other formats. There's many music LD's that have not made it forward to newer formats. I watch It Came From Hollywood periodically because it's never been on DVD or BD. There are old Academy Ratio films on LD that look worse on DVD. CrazyCatz, Partyslammer and melstapler like this. 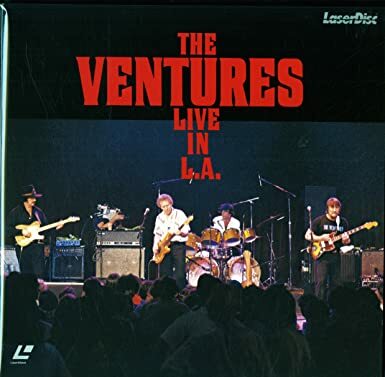 The main reason I've kept the old LD player is to watch The Ventures "Live In LA," which still has not been reissued in any format. A DVD would be nice, but I would settle for a CD if it sounds fine. nightstand68, bamaaudio and mdm08033 like this. It totally depends on the disc you are playing. IF you have an academy ratio movie with a good transfer, it can look really good on a modern TV; only slightly less sharp than a DVD. If you have to use a scaler to blow up a letterbox film to fit a modern TV you start running into the issue that you are enlarging fewer lines of resolution to fill the screen and the wider the aspect ratio, the worse the final picture is going to look. I have watched a number of well-mastered music videos or animated titles and marveled that the picture can still look so good and, other than some video noise in the red, I could think I was watching a DVD. I've also spun a few letterboxed Criterion discs and they can still look good - I think the two John Woo titles, The Killer and Hard Boiled, look better than their corresponding non-anamorphic Criterion DVDs. The majority of the discs, however, are terrible and only worth watching for nostalgic purposes. It sounds like the pad on the disc clamp has gotten slick and the LD slides on it. I think you rough up the pad a bit with an nail file. Thanks, I'll check on this. It's definitely something involving the spindle area. Of course once I opened up the unit it did it once and then stopped, preventing me from locating where the sound was coming from. Other than that, the unit works flawlessly. WB cartoons released by WB themselves (as opposed to the pre-1948 ones released by Turner/MGM) still look fine on LD. This is important as many of those were never released on DVD or bluray. Sure, they might look a bit softer than they do on digital formats, but perfectly watchable – even on a modern LCD screen. CrazyCatz Great shot kid. Don't get cocky! I've also spun a few letterboxed Criterion discs and they can still look good - I think the two John Woo titles, The Killer and Hard Boiled, look better than their corresponding non-anamorphic Criterion DVDs. 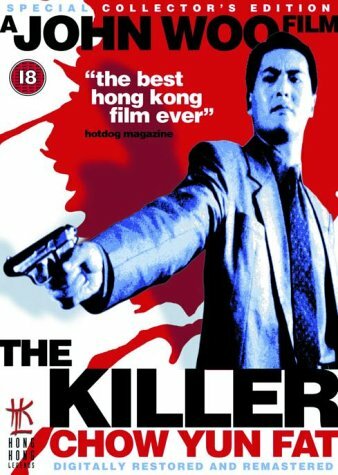 I never managed to get a copy of Criterion's The Killer DVD (I have the CAV LD), but I recently got a chance to sample a copy and was really underwhelmed by how crappy it looked. I didn't A-B the DVD against the LD, but I'm not at all inclined to doubt that the LD looks better. I finally broke down and picked up a copy of the UK Hong Kong Legends anamorphic DVD, after having read on multiple occasions that it's the best existing option for a film that has been treated quite poorly on home video (at least as far as English-friendly options - I also have the French TF1 special edition, but it does not have English subs). It does indeed look significantly better than any other DVD I've seen, and it is cheap to boot. I got a used copy off eBay for $7.50 shipped from the UK to the US - Amazon UK is a bit more, but it's still quite affordable, especially compared to the ridiculously overpriced Criterion DVD. If you have the ability to play R2 DVDs, I highly recommend it. Cerebus and CrazyCatz like this. I have a CLD-99 that a friend gave me when he got rid of all his remaining LDs, and it squeals like a wounded badger when I try to play a disc. I'm pretty sure it's the same issue (the pad badly needs to be resurfaced), but despite intending to fix it, I've never gotten around to it since I have two other fully-functioning players that are better. I really should pull the 99 out of storage and get it tuned up - it never hurts to have another working backup unit. There are many music titles that have never been issued (and will likely never be issued) on DVD. And many more that have been issued on DVD, but with lossy (and inferior) Dolby Digital sound without uncompressed PCM tracks. The better practice is to burn those all onto DVD-Rs while you still can, making certain that you are actually burning the uncompressed PCM sound along with them (some DVD recorders just convert to Dolby Digital, which defeats the purpose). Jrr and CrazyCatz like this. I know a couple of hipsters who collect them now but probably more for the artwork. I agree with other posters that the sound is still quite good and often close to blu ray. But the picture quality really shows its limitations today and negates the overall experience. Unfortunately, the players don't. My wife said she tried to play both players, and one just made grinding sounds and the other kept skipping (which may have been a problem with that particular disc, I still need to doublecheck). So I removed the back panel and lid, sprayed the area around the laser with compressed air, reassembled it, and it has worked beautifully ever since. I think these many of these machines have been sitting around in people's homes for so long (25 years or so!) that tiny amounts of dust have made their way inside -- which makes it impossible for the laser to play certain (or all) discs. That's one problem that can be easily and quickly fixed. seed_drill and Tjazz like this. ....I think these many of these machines have been sitting around in people's homes for so long (25 years or so!) that tiny amounts of dust have made their way inside -- which makes it impossible for the laser to play certain (or all) discs. That's one problem that can be easily and quickly fixed. That's a good theory. I gave my parents my CLD-52 back in the 90's. They used it for years. It's a dual-side player. Finally, it wouldn't play side 2 unless you flipped the disc. They sent it to the shop. It was an easy fix. The little rail that the laser moved on was too dirty for the laser to make the U-turn and move make to the edge to play side 2 as intended. It didn't take 25 years to accumulate enough dirt to cause a problem. Check with a qualified tech. I was tired when I gave you advice. Clean first and then, maybe, use an Emory Board to barely roughen the surface. I've never had this problem but I've heard this recipe several times over the years. Also, I've never fixed a Lasderdisc player in my life. I've just owned a truck full of 'em. I'll look at it again this weekend. The noise has decreased since I first used the player; the first disc I spun made enough noise to get the neighbor's attention. It's gone down since then and only happens when I first play a disc. My guess is that the player has sat mostly unused for a decade or more, so it needs some time to break in again. Cool art design, not enough titles/availability. Ultimately size/space makes it impractical. What i don't like about it is that it looks like a LP, only one 12 inch format can hog my record cabinet. I have not read this whole thread but some interesting stuff from the little I did read. I was looking up laser discs because I might have the opportunity to buy a many hundreds of them. So researching if there is still a market and a demand for them. I have not seen the collection yet but I know he does not have any concerts. Forgot about them rotting. I don't have a player so I would just flip them to people who collect. Are there certain titles or manufacture that the discs rot most from? The artwork is very nice on the ones I have seen online. Forgot the packaging was so nice on many of them. I guess there is a market for people who like the artwork? LDDB.com is a good reference. In my experience, Paramount/Sony titles are most likely to rot and many transfers on MCA/Universal are awful. There is a huge Facebook group of people that buy them to watch. Some people collect certain genres or labels. I still collect Criterion, music, and animation titles, but I'll probably get rid of the rest soon as I'll never watch them again. Thanks for the info. The collection is huge and I need to find out more about it. Disc rot is worrisome for sure. These things are not light either! A laser disc can look better than a DVD if there is no laser rot on the disc. It's my 2nd favorite video format, with Blu-ray being my favorite. I have films like the 1994 movie Lassie that are WAY better on laser disc than on DVD. You won't have to worry about rot much with Pioneer pressed discs. I'm not sure of the date that Sony quit having their discs pressed in Japan and moved their production to Indiana. I think that it was about 1990. The Indiana pressed discs rot at a very high rate, maybe as high as 50%....? When you have Sony discs with 3 or 4 sides, it's highly probable that at least one side is rotted.